Moyane in ConCourt appeal: What have I done wrong? South Africa can ill-afford to have the South African Revenue Service without a permanent head for much longer, and the tax agency will continue to struggle with compliance challenges until one is appointed. This is according to tax experts at global audit, accounting and consulting group Mazars. The group held a panel discussion on Tuesday morning in Cape Town ahead of February’s Budget. 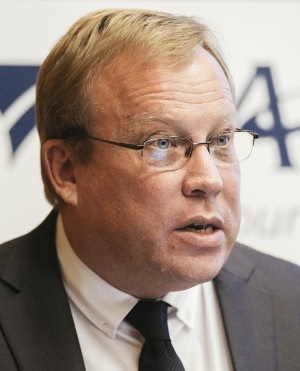 Mark Kingon has been leading the revenue service in an acting capacity since March 2018 after Tom Moyane was placed on suspension. Sars has also advertised for a new head. Mazars National Head of Taxation, Mike Teuchert, said Moyane’s leadership had damaged the tax body, and it cannot be expected to thrive without a permanent leader. "Uncertainty at a strategic level will always affect an organisation. You want Sars looking in the right direction. Mark Kingon has done a great job. He has steered a ship right and has made the right noises, but he can’t do anything in the way of meaningful long-term strategy," said Teuchert. Senior Tax Partner at Mazars, Bernard Sacks, said the tax agency's revenue collection objectives had underperformed for a number of reasons, including base erosion, profit shifting and the growing illicit tobacco trade. "Having a permanent commissioner in place who is strong, and who can up enforcement can go a long way to closing these gaps and eliminating these holes, so we can perhaps see in decrease in VAT rate increases in years to come," he said.